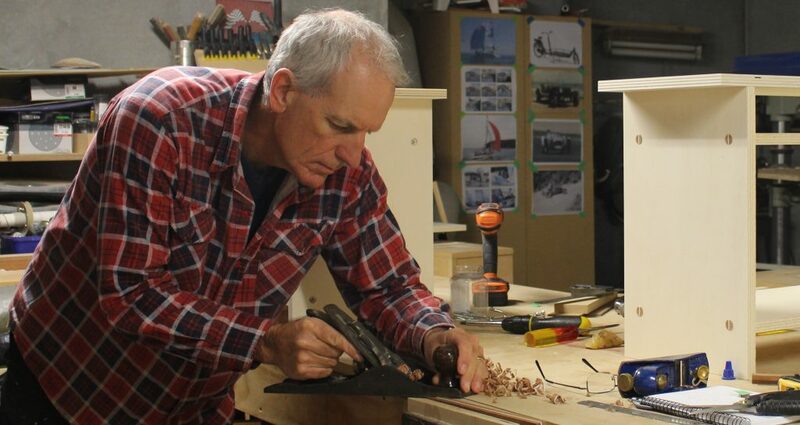 Naturalcraft was born in 2006 as a means to explore my passion for woodwork and nicely crafted handmade objects. It has since grown to more than just a hobby and now specialises in bespoke artisan objects all made right here in New Zealand. Woodworking is a passion, I grew up surrounded by wood. During my childhood my father built a large yacht in the back garden which took 10 years to complete and so I was introduced to timber at an early age. After school I spent many hours as a young man helping retired boat builders on their own boats and learned many of the old trades of steam bent timbers, riveting and carvel planking. I started my working life working on boats before getting distracted by automotive and later on light engineering however I have always been drawn to wood as an amazing natural material that has such fine properties, is good for the environment and nice to work with. All the products and commissioned work I make right here in my small workshop, I try really hard to only use plantation grown timber from certified sources that I trust and to use the least toxic finishing products I can find. I hope you enjoy looking at my work and maybe you will purchase something or would like to commission me to make a small project for you.